The Swedish Lapland, the most northerly part of the country, is a very special place. I got to visit its capital Lulea and the surrounding forests and islands a couple of years ago – I went hunting, slept in a tree-house, ate reindeer, and nearly (but not quite) ended up skinny dipping with a bunch of Swedes. These fond memories are still very much with me today (reviewed here). So when the good people at Visit Sweden asked me earlier this year whether I would like to return to Sweden, but this time, to Stockholm, the country’s capital and the gastronomic hub of Scandinavia, I did not think twice. The visit took place during Stockholm Gastronomic Week and the Bocuse d’Or Europe competition (the most prestigious chef competition in the world being hosted in Sweden for the very first time), among other culinary events. As in London, the food scene in Stockholm has enjoyed a complete revolution in the last 20 years. 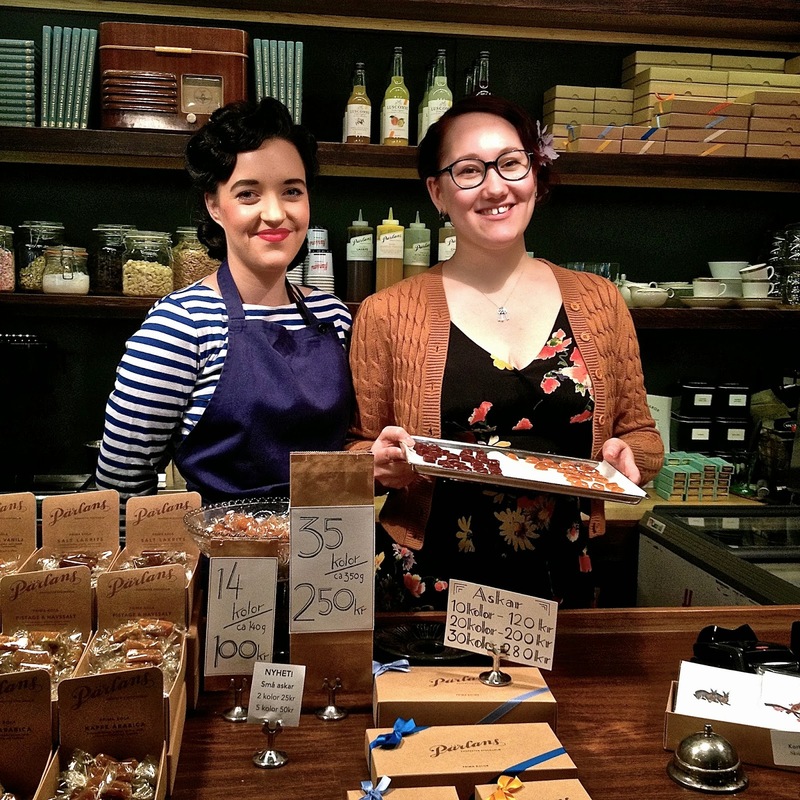 The city now has some fantastic delis, restaurants and artisan microbreweries as well as coffee houses, food markets, chocolatiers and everything else we have come to expect from any major European foodie destination. One such place was Wienercaféet, founded in 1904, this is the place to experience the Swedish “FIKA” (or coffee break). Here we met Daniel Lindeberg, the creative Director at Wienercaféet and co-owner of the two-Michelin starred Restaurant Franzén. A stunning place, this Grande Café’s signature pastry is known as Princess Cake – a superbly light sponge around layers of cream, jam and green-coloured marzipan (www.wienercafeet.com). The elegant food hall Östermalms Saulhall was another foodie destination not to be missed in Stockholm. It has been supplying the well-heeled Swedes with some fantastic native and international ingredients since 1888. Today it is home to restaurants, champagne and seafood bars, as well as butchers, cheese and fishmongers, bakeries and more. It is the place to go for top quality ingredients, learning about their provenance and meeting the makers themselves (www.ostermalmshallen.se). The Swedes’ love for fresh fish, caviar and their respect for natural, seasonal ingredients strike a chord with me as they share common values with Japanese cuisine. Shibumi is a newly opened Japanese-Scandinavian restaurant we visited on our first evening in Stockholm. Chef Sayan Isaksson, a Thai-national by birth, prepared us an interesting 6-course menu at Shibumi (SEK 1,250/£105 plus 5 beverages SEK 950/£80, total = £185). I enjoyed most of his creations, but truth to tell, I felt prices were eye-wateringly expensive. I loved his dry-salted monkfish, with lightly smoked monkfish liver (known as ankimo, the foie gras of the sea), tobiko eggs (flying fish roe) and frozen dashi (Japanese stock made from bonito fish flakes and seaweed). Another highlight was the Shibumi Sliders made from tender beef short ribs cooked over 48 hours. Served in a brioche bun with Japanese mayonnaise and plenty of kimchi (Korean pickled cabbage), they were delicious (http://www.esperantorestaurant.se/en/). A more affordable choice was Långbro Värdhus, where we had a magnificent Swedish lunch cooked by Fredrik Eriksson. Långbro Värdhus is an former doctor’s villa, full of charm and with a very homely feel, despite being a full-fledged restaurant. The food was traditional Swedish fair: fresh, well-made and delicious. We started with a varied platter of fish and accompanying sauces – smoked, raw and caviar including one of my favourites - Kalix Löjrom. This roe is normally referred to in gastronomic circles as the "gold of the North" as it comes from the Swedish Lapland, where I first tried it two years previously. To follow we had a selection of different mains served buffet style. I went for the pork rillettes with roasted beetroots and sourdough, and was very happy with my choice. This was one of the finest meals I had during this trip and the prices were also surprisingly affordable (www.langbrovardshus.se). From Långbro Värdhus, we headed to the city’s pier to catch a boat for the Island of Fjäderholmarna, the first stop in the Stockholm archipelago, a breathtaking landscape of 30,000 islands (www.fjaderholmarna.se). There we visited Rökeriet (the Smokery), an elegant restaurant with great sea views, for a taste of the archipelago – myriad smoked fish and seafood of the highest quality (www.rokeriet-fjaderholmarna.se). Also on the Island, the Fjäderholmarna Brew Pub was another interesting find – a microbrewery and pub manned by two Swedish friends Pelle Ågren and Andreas Willman. Here we had a tasting of their 3 craft beers including a fantastic IPA, Libertas, as well as a visit to their brewing quarters (http://www.fjaderholmarnaskrog.se/english/On_the_island/brewery.html). Back on dry land, we headed towards Södermalm for a foodie tour of this bohemian and eclectic district of Stockholm. Södermalm has a number of fantastic delis, quirky food shops, restaurants and bars, and it is here that the foodie crowd of Stockholm gathers. Of note, Pärlans was a vintage caramel shop, and walking through its doors was like entering a time-warp to the 1940s. Their flavoured caramels were made on the premises, and were delicious (http://www.parlanskonfektyr.se/). 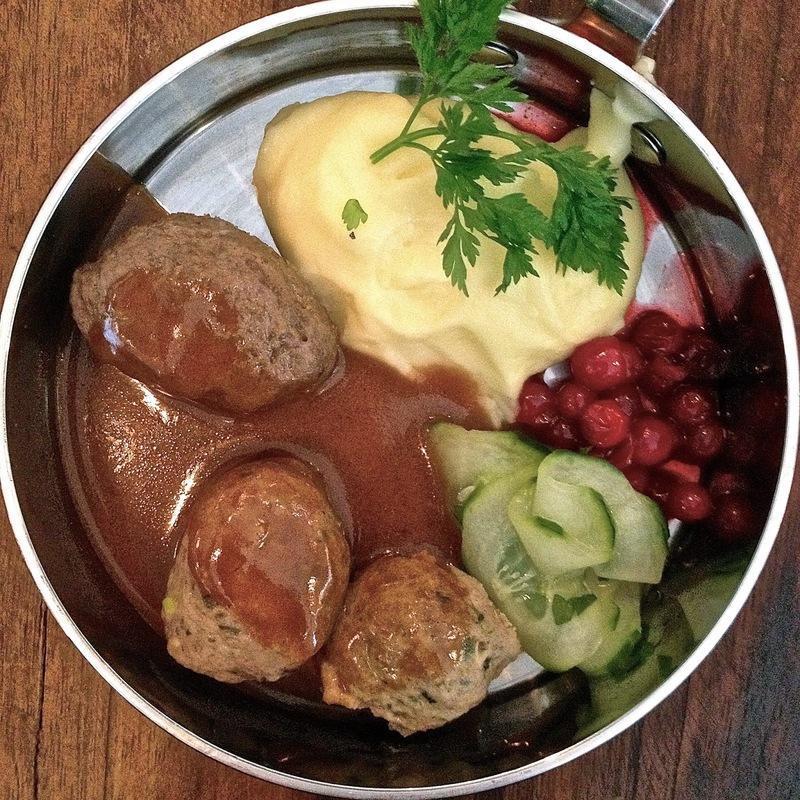 One of the main lunch hangouts in Södermalm is Meatballs for the People. Here we tried a number of delicious variations on this Swedish national theme. There are no fewer than 14 varieties of organic meatballs on offer, made from, among other things, rooster, elk, bull, boar, salmon, reindeer and turkey. My favourite was the reindeer meatball, which I enjoyed with a sweet and sour cucumber pickle, creamy mashed potatoes and cranberry sauce. If your only experience of Swedish meatballs is from Ikea, I highly recommend a visit to Meatballs for the People for a taste of the real thing (http://meatball.se/hem/). The main focus of this trip, however, was the Bocuse d’Or Europe competition taking place at the Gastro Nord venue in Stockholm, and the fact that Sweden was hosting it for the very first time (www.bocusedor-europe.com). This world famous competition, the chef’s equivalent to the Oscars, is very highly regarded in the industry. It saw 20 European chefs, each representing their own country, compete using only Swedish sourced ingredients, with only 12 countries qualifying to proceed to the world championship in Lyon in 2015. Competitors had 5 hours and 35 minutes to cook a fish and a meat dish for 12 judges, many of whom were themselves Michelin multi-starred chefs. This was a really enjoyable experience, with a boisterous, partisan crowd supporting their national chefs, rather like national teams in the World Cup. The arrival of the Bocuse d'Or Europe in Stockholm signifies the long heralded rise of Swedish food. In the UK, sales of Swedish food are up by 30% since 2006 and Swedish restaurants and bakeries are popping up everywhere in London. Michelin-star restaurant Hedone in Chiswick, West London, has received rave reviews since its opening in summer 2011, as has Swedish bakery Fabrique, which opened in Shoreditch at the end of 2012. It will come as a surprise to few Eurovision devotees that the winners of this Bocuse d’Or Europe were Sweden, Denmark and Norway, with France in 4th place. Sadly neither Spain nor Italy made the cut. The UK, represented by Adam Bennett, head chef at The Cross in Kenilworth, Warwickshire, came 6th in the competition. This means that Great Britain has qualified for the Bocuse d’Or final in Lyon in January 2015, which I will also be reporting on. I was blown away by the dynamic food culture of Stockholm, as well as its urbane elegance and charm. There is plenty to see and experience in Sweden, either in its Lapland or the capital, and what I experienced on my two trips convinces me that Sweden is now one of the gastronomic destinations of northern Europe. Travelling foodies take note! For more information on Sweden and its food scene, go to www.visitsweden.com/food and www.tryswedish.com . For more information on Bocuse d’Or Europe, go to www.bocusedor-europe.com. When you order a sandwich, don’t be surprised if it involves just a single slice of bread, the typical Swedish smörgås. The Swedish concept of open sandwiches dates back to the 1400s when thick slabs of bread were used as plates. In Sweden, the shrimp sandwich (räksmörgås or räkmacka) remains the option fit for a king. Piled high with a mix of boiled egg slices, lettuce, tomato and cucumber, this seafood snack is often topped with creamy romsås – crème fraîche blended with dill sprigs and roe. Shrimp sandwiches are such an integral part of Swedish culture, they have inspired a popular saying: ‘glida in på en räkmacka’ (literally ‘glide in on a shrimp sandwich,’ but roughly corresponding to the expression ‘get a free ride’), meaning to get an advantage without having done anything to deserve it.